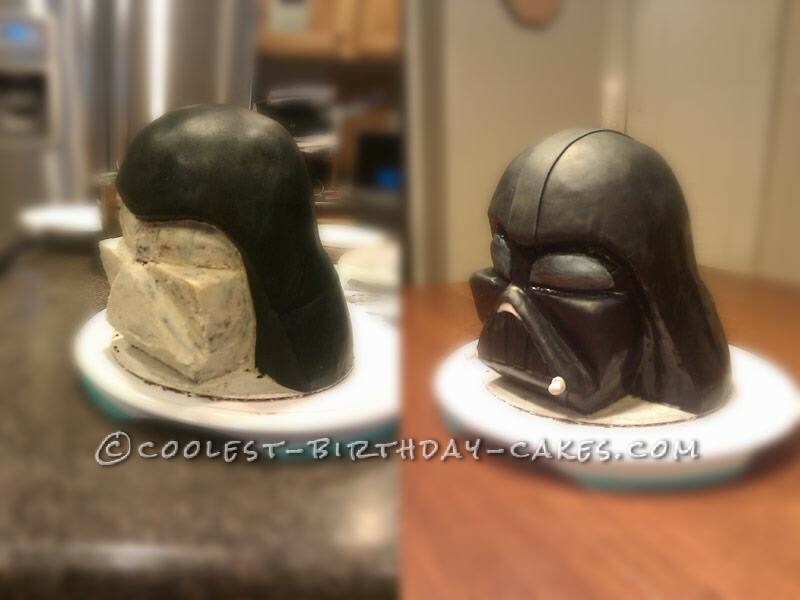 The Darth Vader helmet cake was made from a chocolate cake with peanut butter cream filling and butter cream surrounded, with fondant covering. 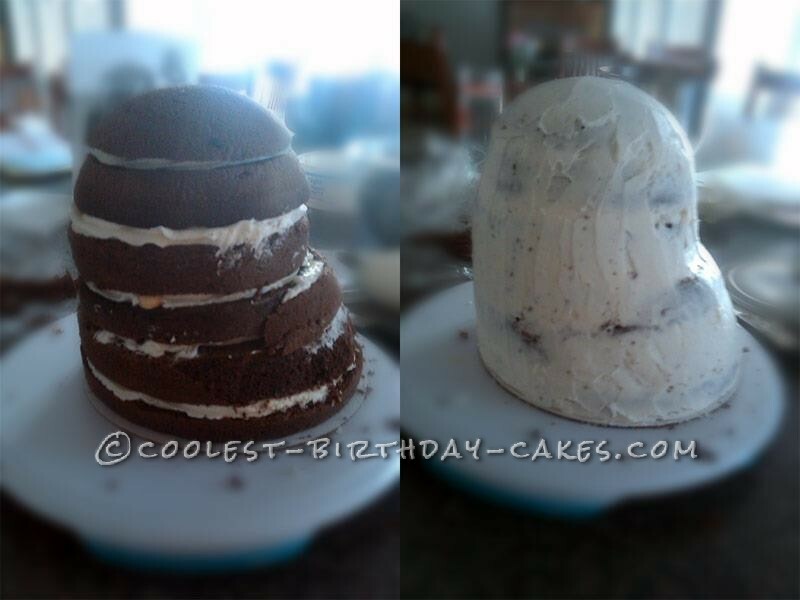 Started with an 8″ cake on the bottom, 6″ in the middle, and round/ball cake for the top. Crumb coated whole thing then, carved out the general shapes for the face, then covered again with butter cream. 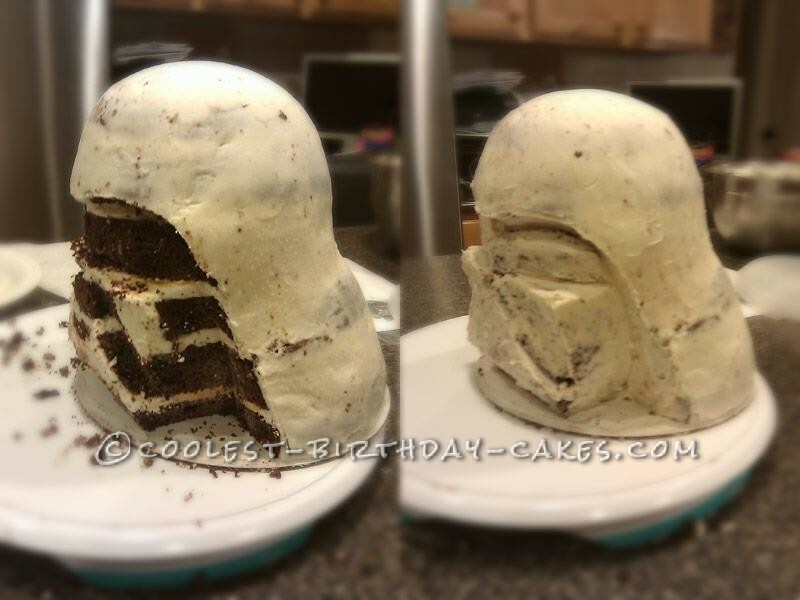 I used store-bought black fondant, piece by piece to finish it up.